My senior year of high school went by in a whirlwind of college tours and trying to see where I belonged for the next four years. Committing to Marist after almost a year and a half of the college search felt like a huge weight leaving my shoulders. It was such a relief to finally know where I was going and know that I made the right choice. From the second my dad showed me a picture of the Marist campus my sophomore year of high school I knew it was where I wanted to be. I’m still so happy that I committed to Marist and get to spend the next two years here. But after you commit to Marist, the excitement isn’t over! Now, you have orientation to look forward to, joining the Facebook groups and seeing who shares the same major and interests as you, shopping to decorate your room (or is this an exclusively girly interest? ), and finding out who your roommate is in August. At orientation, your awesome Orientation Leaders will fill you in on everything you need to know as a Marist students, leading you around campus. You also get to see all the freshman residence halls and figure out where you belong in the mix. It’s an amazing opportunity to meet your fellow Red Foxes and get a jump-start on making the friends who you’ll learn to lean on for the next four years. The Facebook groups are also an awesome way to meet new people and build your support system for the upcoming year. Check out the Facebook page for the Class of 2017 where you guys can see who has the same major, who’s hometown is close to yours, who wants to join the same clubs, and be reassured that everyone else has the same nerves and jitters that you do. 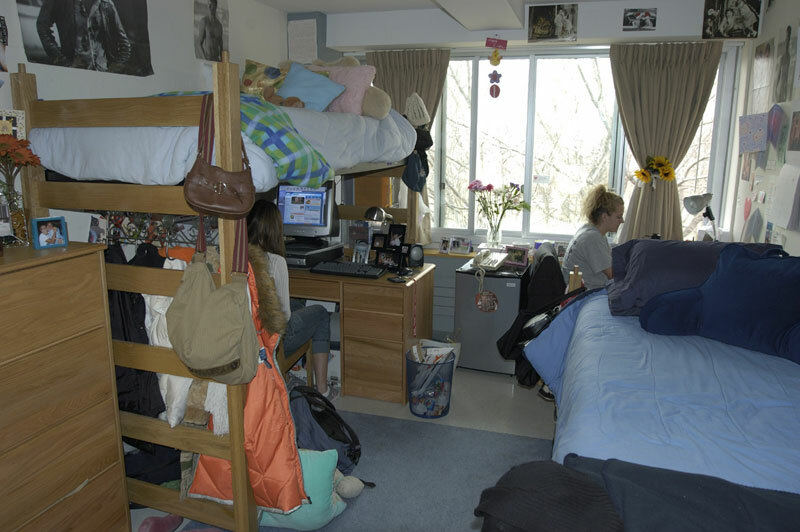 The summer before your freshman year at Marist is busy with preparations and stocking up in order to make the most of your space in your dorm room. Living in a freshman residence hall means getting creative with storage and picking bright and versatile bedding that can double as seating for you and your friends for movie nights and a cozy place to rest after a long day of studying. As the most loyal Target customer in America, I would definitely recommend heading over there for cheap storage options to create additional space under your bed for your food and clothes (and I guess you could go to Bed, Bath, and Beyond and the Container Store if you wanted to). For my freshman year I ordered a bedding set from Residence Hall Linens. In the set, I got my comforter, my sheets, my bath towels, an egg crate, a hamper, and every other dorm essential all in one package. It was perfect for freshman year and there were a bunch of different patterns and colors to choose from. As the summer winds down your anticipation will peak again as you get your residence hall assignments and your roommate contact information. This is the perfect time to coordinate who is bringing what to your room whether it be the carpet, the fridge, the microwave, or the TV. It’s a huge comfort to get to know who you’re going to spend the next year living with before you finally move in. As you guys can see, even after committing to Marist there’s still a ton of things to look forward to and prepare for. The next four years will be whirlwind and this summer will fly by as you prepare for you time here at Marist. So good luck and see you on campus in the fall! For some more tips check out this great Huffington Post article about some of the top things you can’t forget at home. ← BMAC Top 25 For Chief Funster: The Contest Continues!